When the Office of Thrift Supervision announced its takeover of Washington Mutual after weeks of speculation about the thrift's soundness, many WaMu customers began looking for a new place to do their banking. BECU ($8.5B in Seattle, WA) was one of the top destinations, according to their semi-annual banking survey of the Seattle area and evidenced by their 70% spike in new member growth between the two weeks preceding the announcement and the two weeks following it. There have been many mergers and acquisitions in the past few months. Two of the nation's largest bank mergers became official on January 1, 2009. Wachovia merged with Wells Fargo and Washington Mutual was acquired by JPMorgan Chase. Besides these mega-mergers, many local and regional banks have also been acquired recently as national banks seek stable deposit bases. Typically twenty percent of the merging or acquired bank's deposits will change financial institutions within a year. As such, the national bank shuffle provides a crucial opportunity for increasing membership and deposits at credit unions. In Montgomery County, MD, Chevy Chase Bank, a large, regional bank, is merging into Capital One. With $6.2 billion in deposits and 71 branches in Montgomery County, this is a significant merger for the area. Combined with the Wachovia merger ($2.9 billion in deposits and 14 branches in the Montgomery County), there will be many banking relationships on the move. 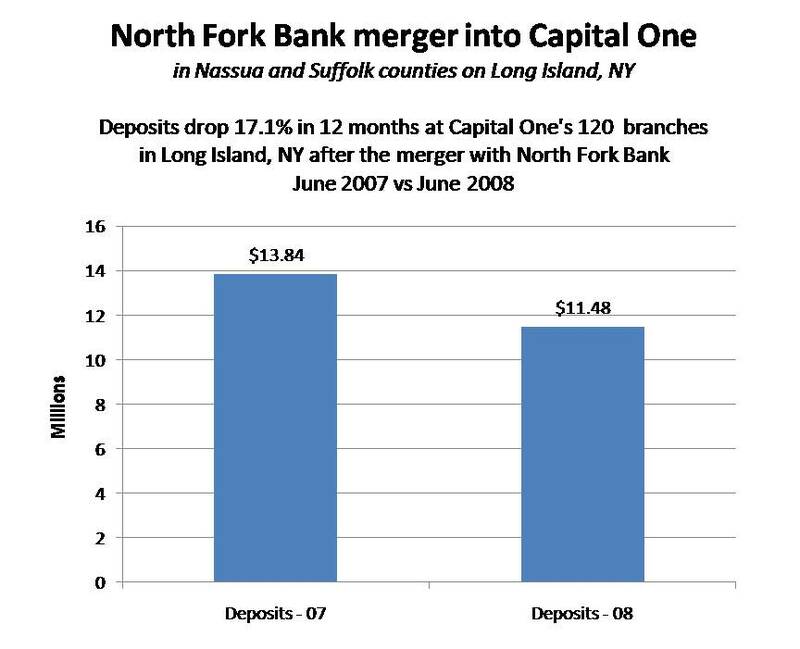 When North Fork Bank on Long Island merged with Capital One in 2007, they lost 17.1% of their deposits within 12 months. Will the same thing happen to Capital One in Montgomery County? BECU was able to capitalize on the opportunity provided by the WaMu takeover with a simple marketing plan. According to Tom Berquist, SVP of Member Strategies at BECU, they "didn't want to be perceived as dancing on WaMu's grave," so they took out full page ads in the Seattle Times and wrote a letter to the editor detailing the benefits of belonging to a credit union without mentioning WaMu. BECU was able to attract WaMu customers by pointing out the differences between a traditional bank and themselves. Do you have an opportunity to grow your membership by emphasizing the benefits of belonging to a credit union as opposed to the other local alternatives? I agree with Jeff, no new information here but it never hurts to get the reminders. We at credit unions are great at compiling information. We know the right things to do but are often slow to move forward or utilize it.